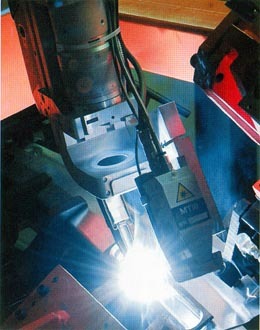 The aim of the original research project at Oxford University, which was spun out to form Meta, was to develop a laser vision system for robot welding in the auto industry. Since we are still very active in that same industry thirty years later with many hundreds of systems installed, it seems that the project was successful. 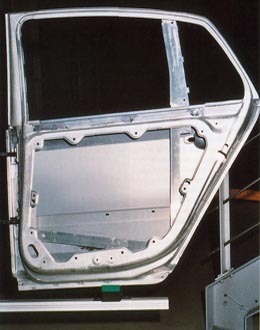 The photos here show the door of a prestige German luxury sedan which is laser hybrid welded with the help of a Meta sensor. Our current system for robot welding, Smart Laser Pilot, continues our progress in the automobile sector, having recently been selected for some very large and prestigious projects, involving hundreds of robots. 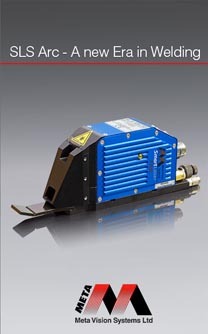 While robots are increasingly dominant, even for application which were previously made with special purpose machines, there are still some applications where dedicated SPMs are used, for which our Smart Laser Probe is ideal.